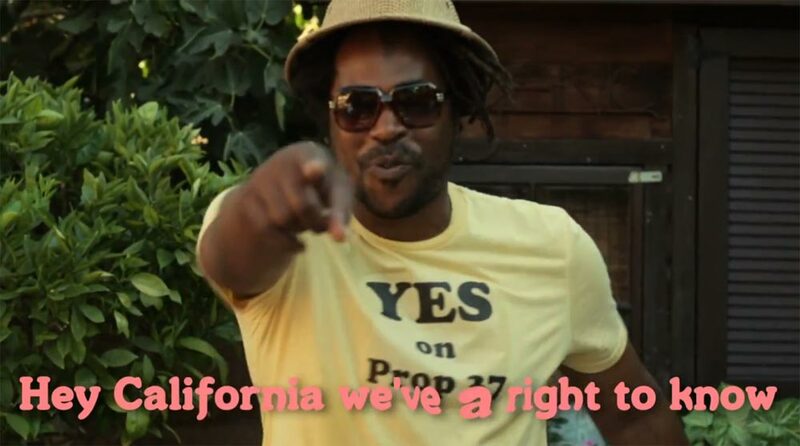 Gallery artist Frohawk Two Feathers recorded a song and video with Mia Doi Todd & Om’Mas Keith in support of California Proposition 37 GENETICALLY ENGINEERED FOODS. LABELING. INITIATIVE STATUTE. Election day, November 6, 2012 is fast approaching, and Californians have the opportunity to pass this very important law. Proposition 37 would require food sold in supermarkets to be labeled if it contains genetically modified organisms, or GMOs. Studies have shown links between GMOs and cancer, allergies, and organ toxicity. Monsanto and other GMO and pesticide firms have contributed nearly $35 million to oppose Proposition 37. All of Europe, Russia, India, Japan and China require labeling of genetically engineered food, and so should we. We are what we eat, and we have the right to know what we are eating! You are currently browsing the Taylor De Cordoba blog archives for October, 2012.